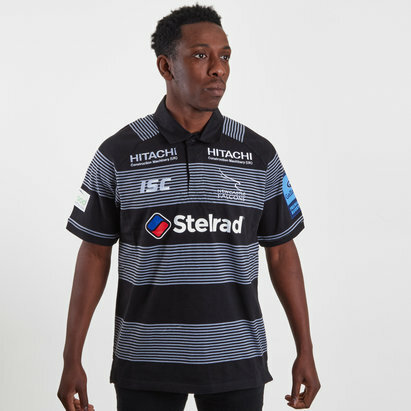 As the only professional rugby club in the north east of England make sure you show your support for the Falcons in this Newcastle Falcons 18/19 Ladies Home Cotton Rugby Shirt from ISC. 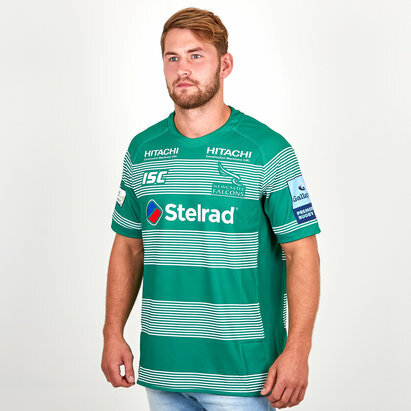 Australian sports clothing manufacturer, ISC, have collaborated with the Gallagher Premiership’s Newcastle Falcons for their 2018/2019 kit and training attire. When the club was established in 1877 they played under the name Gosforth Football Club during which time the team played in a kit that consisted of green and white hoops, quite different to this season's black and white design. This cotton rugby shirt has a collar with a 3 button placket. This shirt comes in black and features blocks of a striped design with the stripes coming in grey. The ISC logo is printed on the right as worn and the Newcastle Falcons badge on the left. 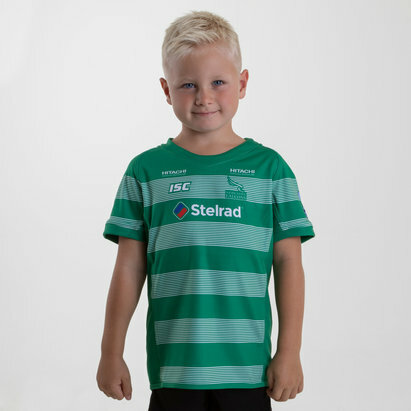 The club's sponsor - Stelrad - is printed across the chest. Live. Dream. Play. Just like a Newcastle Falcon.